Mount Tamalpais State Park is a California state park, located in Marin County, California. 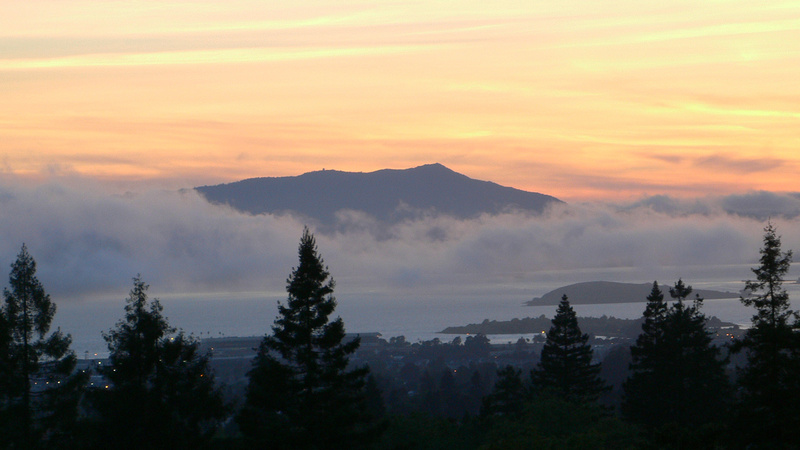 The primary feature of the park is the 2,571 feet (784 m) Mount Tamalpais. The park contains mostly redwood and oak forests. The mountain itself covers around 25,000 acres (100 km2). There are about 60 miles (97 km) of hiking trails, which are connected to a larger, 200 miles (320 km) network of trails in neighboring public lands. Muir Woods National Monument is surrounded by the state park. From the peak of the mountain, visitors can see up to 25 miles (40 km), in a view that encompasses San Francisco, most of the North and East Bay, and the Farallon Islands. Occasionally, the Sierra Nevada are visible, 125 miles (201 km) away.